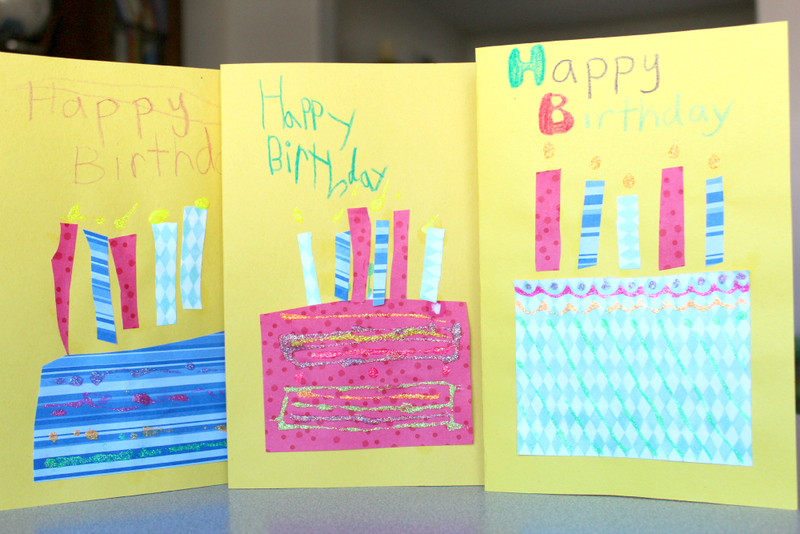 Handmade Birthday Cards for Kids! Cards are a nice gesture. 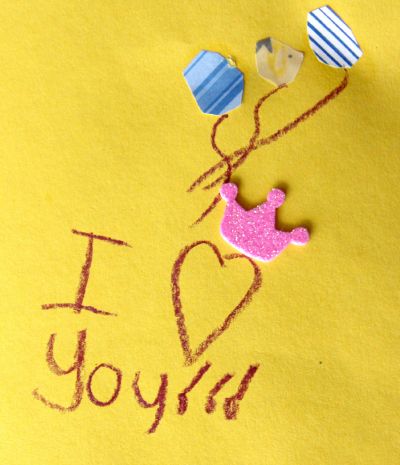 Handmade cards are an extension of the heart. That’s why it’s our family tradition to make homemade birthday cards. When making our cards, I like to inspire my children with different techniques. Then, when they are creating on their own, they will use the techniques to make something totally unique. Fold your paper or card stock in half to make your card base. 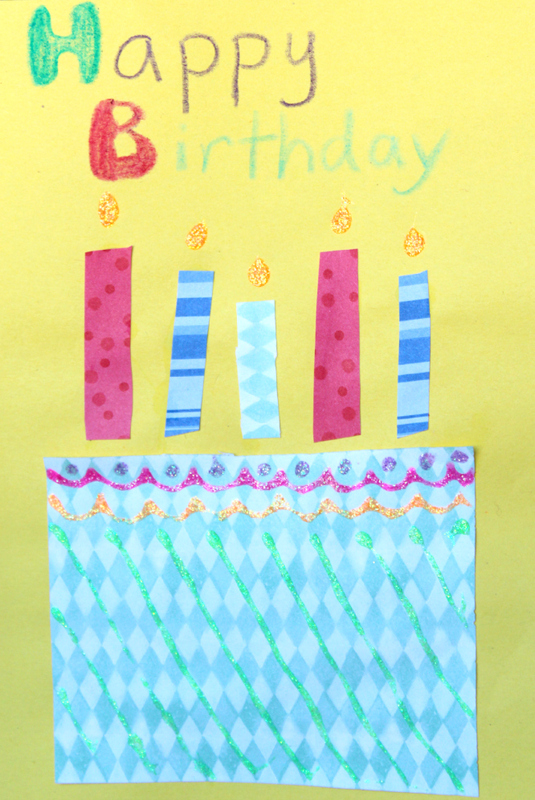 Have your children cut scrapbooking paper into a large rectangle for a birthday cake and small strips for candles. Glue down your pieces to make a birthday cake. Have your children “frost” the cake and “light” the candles with glitter glue. 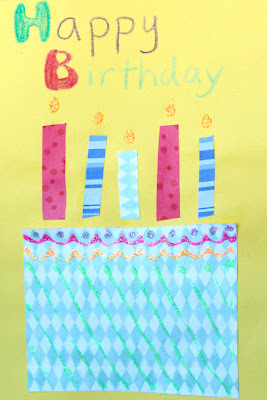 Finally, use stencils or just write your birthday message. Once I showed my 5-yr-old daughter this technique she came up with her own designs for the inside of her card. 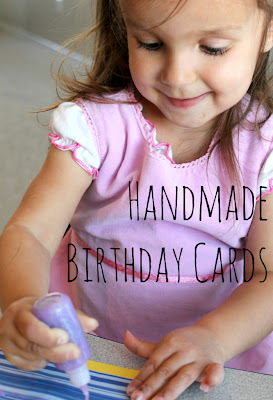 I loved making these cards with my children because they weren’t just meaningless crafts that you want to throw away right after they’re done. Not only was I excited to hang them up, but it also created an opportunity to talk about expressing our love for others and being generous. Making lots of handmade birthday cards also makes remembering birthdays a breeze. 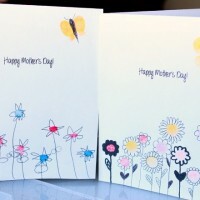 We can do a few month’s worth of cards in advance and have them addressed and ready to go. We simply put them in a special drawer with some of our best crafts that we send to people on their birthday. 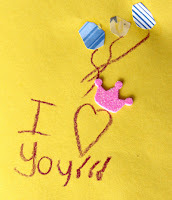 Do you make handmade cards with your kids? For more meaningful craft ideas, like me on Facebook or follow me on Pinterest. Thank you for your support! 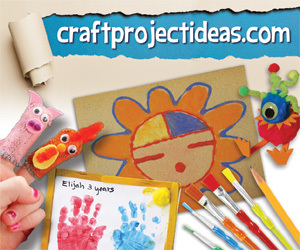 I was generously given craft supplies from CraftProjectIdeas.com. All opinions and craft ideas are my own. I was not compensated for this post. We like to scrapbook and make cards. We just made scrapbook cards for Mother’s Day. 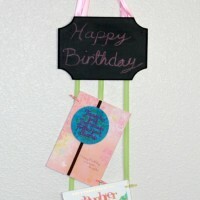 I think homemade gifts and Cards are more special and memorable than store bought ones. Thanks so much for hosting us today. I hope all is well with you! More than anything, my daughter enjoys painting. We paint pictures, flower pots, rocks and anything else we can find. What cute cards! 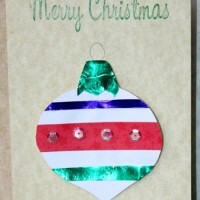 I love that you did them together and the glitter glue adds some fun sparkle! Thanks so much for linking up at the Real Family Fun link party! Hope to see you next week. We like to paint and color. We make many things from homemade cards to sun art to melted crayons. The kids love to paint, make cards and glue stuff on paper! I like to do learning crafts with themes that interest the kids! I’m like the least crafty mom around, but I love to do pasting and gluing projects with my boys– pasting different shapes of cut-up paper onto other papers to make pictures of new and interesting things. Simple for me and fun for them. This would be great for us. 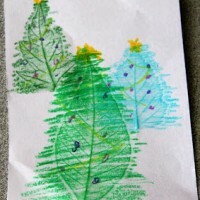 I craft with my grandchildren and they would love this! Thanks for the giveaway! Super cute! I love sending the grandparents handmade art inside their letters. What a great idea for upcoming birthdays. 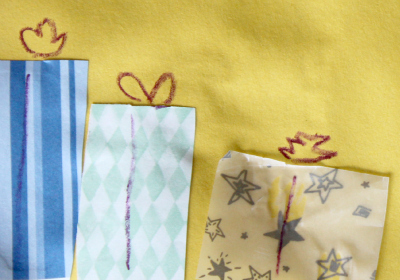 Great tutorial for kids cards, will certainly be trying this out! These are lovely cards! The only thing I would like to clarify is that no crafting is “meaningless” All expressions of art are important, and young children often scribble as they are learning to write and draw. It is an important process of learning for them. So even when they are scribbling or making things that you like are meaningless, it is really quite the opposite. And it’s okay, it’s not worthless or a waste of time. I love it !! That was really lovely and very creative as well. I’m sure kids will really love to do this. Very interesting post you have. I love the ideas, especially involving kids with it. thank you for sharing and more power to your site . Stephanie recently posted…Thank You for Birthday Wishes on Facebook, Twitter, Instagram, etc.